It’s the middle of summer, which means 2018 is now well underway. The first part of the year was rich in novelties, thanks in particular to Chinese manufacturers and their new original devices, with the OPPO Find X and Vivo NEX leading the way. And now our attention is turning to upcoming smartphones. Are you eager to find out what the biggest phones of the second half of 2018 will be? 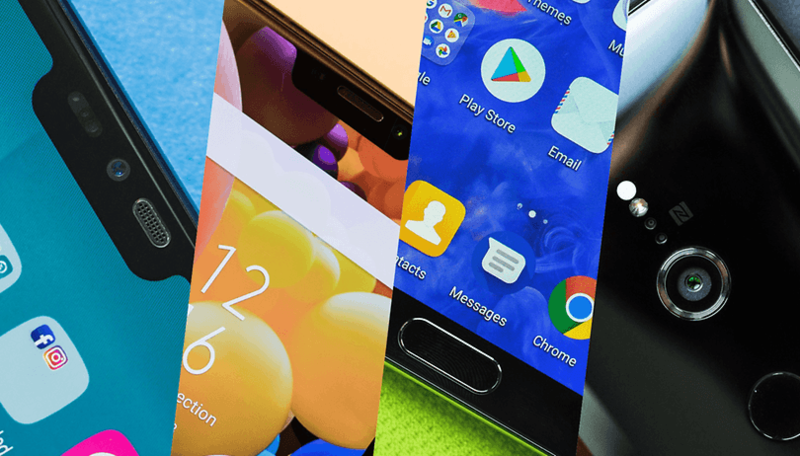 Here are all the devices that we’re looking forward to in the coming weeks! Let’s start off with Samsung’s famous phablet. A few weeks before its official release, which is scheduled for August 9 in New York, we already know almost everything about the Galaxy Note 9. For the new generation, Samsung doesn’t seem to have wanted to make any profound changes. The South Korean manufacturer seems to be following the same strategy it used with the Galaxy S8 and S9. Like its latest flagship, Samsung is using the preceding model as its guideline. The device will be very similar to the Galaxy Note 8. The large 6.4-inch AMOLED display (1440 x 2960 pixels) will cover the front of the smartphone, which will include a “3D” glass effect. And last but not least, the biggest innovation will be the stylus, which should benefit from Bluetooth connectivity. Although Honor sent invitations to the European press for an event on August 30th in Berlin, Honor’s smartphone has already been unveiled in China. With the launch of this new line, the Chinese manufacturer hopes to attract an audience that’s looking for the generous size of a phablet. Honor has traditionally offered good value for money, and this Note 10 should go in this same direction. Its 5000 mAh battery also promises nice results in terms of autonomy. If you’re interested in this smartphone, take a look at our article below, where we’re collecting all the rumors on the new device. Just like Huawei or even more recently with OPPO, Honor could also unveil a luxurious edition of its Note 10 made in partnership with a car manufacturer. After Porsche and Lamborghini, it’s Rolls Royce’s turn to exhibit a smartphone design. It’s not official, but if we believe the rumors, Apple will present three new iPhone models. A little over a month before the keynote, we even have renderings and models of the supposed new iPhone. This year, three models will be on display: the second generation 5.8-inch iPhone X, the 6.5-inch iPhone X Plus, and a third model equipped with a 6.1-inch LCD panel, which will likely be offered at a more “entry-level” and affordable price. This last model could also be released a little later than the new iPhone X (October-November). Apple encountered some difficulties reducing the borders on the LCD model. For the third time, Google will present its new Pixel in September. As always, two smartphones will be in the game this year: a classic version and an XL version. Like previous models, this new range of devices will promise to make our lives much easier. They’ll also be responsible for introducing Android P and they’ll probably also have some exclusive features and functions. As tradition has it, Sony will unveil new smartphones again this year. The Japanese firm will certainly take advantage of the IFA in September to present its new equipment. Although much is still unknown about both devices, several leaks and rumors have been leaked and have revealed some indications about the “Ambient Flow” design of the smartphones. The Xperia XZ3 and XZ3 Compact could also be thinner, but will keep the rather awkward location of the fingerprint reader, right on the middle of the device’s backside. Among the other Android smartphones to watch closely in the coming weeks, we can also mention the new Xiaomi Mi MIX 3, the LG V40 or the Asus ROG Phone. Huawei could also surprise us with the Mate 20 Pro, a smartphone without a notch, a Kirin 980 SoC processor, a large borderless OLED display and a triple photo sensor. We'll have to wait though, since it certainly won't be out before the end of October or even November. Finally, we’re still hoping that the release for the RED Hydrogen One, which was presented a few months ago, will come in the upcoming weeks. We’re eagerly awaiting the smartphone, along with its holographic display and modular system. That’s what we’ll be watching for closely in the coming weeks! Are there any devices you’re interested in that didn’t make it on our list? Let us know! That's a cool info...Thank you for sharing. I have no interest in the pixal3 XL with a ridiculous notch. Cloning Apple's notch is not the best of ideas. The sales will reflect it! I would consider Huawei but no US carrier or Best Buy! Yeah, same here! I've had the Mate2, 8 and currently the 9. Best phones I've ever used. But, with the government kicking them to the curb, I don't see Huawei even bothering to support a U.S. branded phone ever again. And I can't blame them!